There was a time when people used to pull out the phone book to look for services and contact information. These days, everyone is online performing an Internet search to find companies to do business with. Whether you’re a brick and mortar business, or building your digital empire, at some point you are going to have to set up a professional website. In order to get started, you’ll need to obtain a domain name and choose a web hosting provider. With so many options out there, it can easily become quite confusing. There are few things you need to know that will help make the process relatively easy. This is important for a couple of key reasons. Firstly, a domain registrar that is not ICANN certified could basically hold your domain hostage, making transferring it very difficult if at some point you want to move it to a new hosting provider. Another issue is accountability. A non-certified domain registrar has none. Should they shut down suddenly, you could lose your domain altogether. Most registrars will gladly note their certification status, and you can also refer to this list (it is not 100% current, so please keep that in mind). The thing here is to do some brainstorming. Of course, your first choice is going to be yourbusiness.com, but that’s not always going to be available. Try to come up with at least four or five easy, memorable variations on your business name. Avoid dashes and numbers if at all possible. Also, stick to .com domains if at all possible (unless your site is for education or charity, in which case .edu or .org are preferable). Many domain names are reused and recycled. Before you purchase a domain name, you want to be certain there are no negative associations with that name that could cause issues. The other thing you may want to do, is run it through the U.S. Patent and Trademark office website to ensure that you won’t end up being sued for having a reference to a trademarked word in it. This is another key piece of the puzzle. The reason is as simple as it is important. If the domain is not registered under the owner’s name and they are not listed as the administrative contact, when it comes time to renew or move it, you won’t be able to. After all, it’s not your domain, it belongs to whoever set it up under their name. If they are reachable, you may end up negotiating with them to buy the domain, or get into a long battle that costs you much more than the original name cost. If you are not sure if you are the current owner of your domain name, you can use a WHOIS lookup to check. Once you’ve chosen your domain host, and have gone through the process of setting it up, put a lock on it. This will stop would be scammers and thieves from stealing your digital property. Unless you’re making changes to your DNS providers, it is always best to keep your domain locked. There are, unfortunately, many scammers out there who send emails warning that your domain needs renewal. Once you click the link, it starts a domain transfer process which leaves you no longer in ownership. Click here to view an example of a scam email to watch out for. This seems pretty standard, however, it is easy to overlook if you are assuming you’ll get a notice. When you purchase a domain, it is best if you can purchase it for a few years (3 to 5 is good). This shows up on a WHOIS search and shows stability. It also means you are keeping it safe for your use. Knowing when your domain lapses, and making sure the information for payment is up to date, is important to maintain your domain. There are plenty of places out there that purchase lapsed domains in hopes to make a profit selling them back to the original owners. You don’t want to fall victim to this- once the domain is out of your hands, you can’t remove the old content and will need to start from scratch. GoDaddy – This is our personal favorite domain registrar. Incredibly convenient and user friendly website makes it easy to get what you need done quickly and efficiently. Name.com – This site has aggressive pricing plans and strong customer support service. Customer reviews place it high on the list of options. A full list of extensions and pricing is available here. Namecheap.com – Also offers inexpensive pricing options and decent customer service. With the purchase of your domain, you get , free domain name parking, free email forwarding, free web redirection to a site of your choice. You can see their pricing here. DreamHost – Along with your domain purchase, you also receive free subdomains which allows you to create as many subdomains as you want, DNS management which lets you easily update your name server info and other records, and flexible auto renewals allowing you to set your auto renew preferences to “yes”, “no” or “ask me” to receive renewal notices on a regular basis. 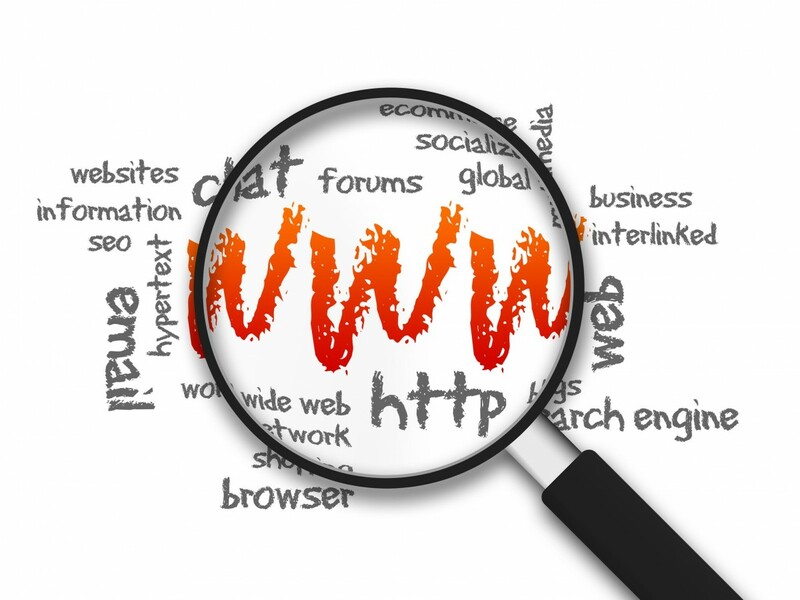 A quick search will show you many more domain registrars available to you. With these tips at hand you will be prepared to get your domain name, and then take the next step of finding the perfect web hosting provider to suit your needs. Josiesque Designs can make this entire process seamless and do the heavy lifting, so you don’t have to.